Love Bug wanted to chat with Apollo while she had her bath. She was in a conundrum as to where he could sit without getting wet. 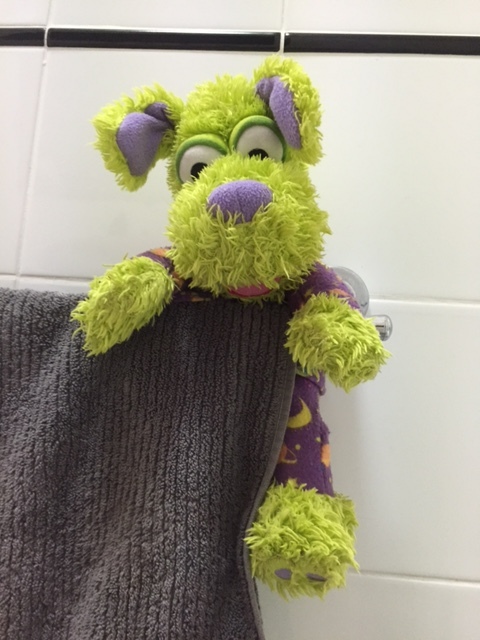 I lifted him from the edge of the bath and popped him over the towel rail. Safe from the bath waves as Love Bug practices her swimming, but close enough for important conversations. Her response? Geniuses solve important problems, so…. Yup!